LANSING—Sen. Dale Zorn has announced that he will hold a local coffee hour in Dundee on Friday, April 10. The coffee hour is open to residents to express their opinions or concerns about state government or to request assistance with a state issue. The Dundee coffee hour will be held on Friday, April 10 from 9 to 10:30 a.m. at Cool Beanz Coffee, 112 Park Place, Dundee. No appointment is necessary. To respect other patrons of the restaurant, no town-hall-style discussions will be entertained. Residents who are unable to meet during the coffee hour may contact Zorn’s office via email at SenDZorn@senate.michigan.gov or toll-free at 1-855-347-8017. Constituents may visit the senator’s website at www.SenatorDaleZorn.com. On the site, visitors can also click on the Facebook logo to find the senator’s official Facebook page. LANSING—Sen. 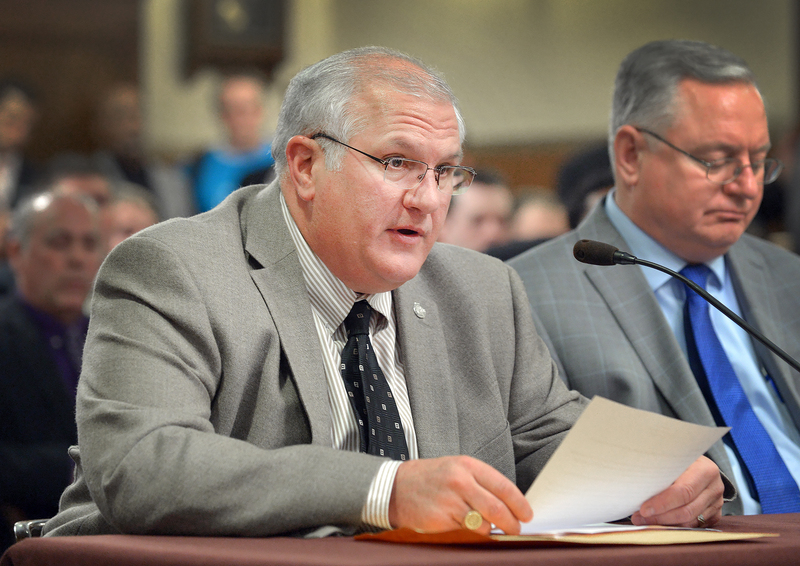 Dale Zorn, R-Ida, on Wednesday testified before the Senate Regulatory Reform Committee about the need to protect Michigan drivers and consumers by requiring that drivers connected to Uber carry commercial insurance, have a commercial vehicle plate and maintain a chauffer’s license. Senate Bill 188 simply includes transportation network drivers under the existing limousine act. A print-quality version of the above photograph is available by clicking on the image or by visiting Sen. Zorn’s website at www.SenatorDaleZorn.com. Click on “Photowire” under the Media Center tab. 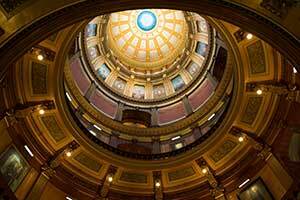 LANSING, Mich.— State Sens. Dale Zorn and Phil Pavlov introduced measures on Thursday to increase restitution and toughen penalties for individuals convicted of the illegal killing, possessing, purchasing or selling of certain protected animals in Michigan. Under Senate Bills 245 and 246, sponsored by Zorn, an individual convicted of illegally killing, possessing, purchasing or selling moose or elk would lose their license for 15 calendar years for a first offense and for lifetime for a second offense. If the animal were a bear or antlered white-tailed deer, the individual would lose their license for five calendar years for a first offense and for ten years for a second offense. • Waterfowl: $500 per animal. “There have been several incidents of poaching in Michigan in recent years,” said Pavlov, R-St. Clair Township, vice chair of the Senate Committee on Natural Resources. “Migratory birds have been shot, clubbed with baseball bats and golf clubs, and run over; bears are being illegally harvested and their parts sold abroad; and elk, moose and other animals are also being targeted. Matt Evans of the Michigan United Conservation Clubs applauded Zorn’s and Pavlov’s work on the legislation. SBs 244, 245 and 246 now head to the Senate Committee on Outdoor Recreation and Tourism for further consideration. LANSING—Sen. Dale Zorn on Friday congratulated Wabash & Main LLC for receiving a grant from the Michigan Strategic Fund (MSF) that will help them renovate four historic buildings in downtown Milan. Wabash & Main LLC and Wabash & Main Properties were awarded a $873,601 Michigan Community Revitalization Program performance-based grant to renovate four downtown Milan buildings into mixed-use facilities. The first-floor commercial space will retain an existing bakery and create additional office and restaurant space, while the second and third floors will be transformed into 15 new apartments. The Michigan Community Revitalization Program provides grants, loans or other assistance of up to $10 million to projects that will revitalize regional urban areas, act as a catalyst for additional investment in a community, reuse vacant or historic buildings and promote mixed use and sustainable development. The city of Milan has approved a 10-year property tax abatement valued at $404,000. The project will also receive federal historic tax credits and $967,200 from the Michigan State Housing Development Authority. LANSING—Three Michigan senators introduced resolutions on Thursday calling on the U.S. Congress, the U.S. Department of Energy and the Nuclear Regulatory Commission to complete facilities for safely spent nuclear fuel. Senate Concurrent Resolution 8, sponsored by Sen. Dale Zorn, calls on Congress to appropriate from the Nuclear Waste Fund the money necessary to establish a permanent repository. Each year, the fund’s balance increases by about $750 million in direct taxpayer payments. In 2002, Congress and President Bush approved Yucca Mountain in Nevada as the site of a safe nuclear waste repository for the U.S.
Proos’ resolution, SCR 6, compels Congress to return the money collected from Michigan residents if a permanent repository is not built. SCR 7, sponsored by Sen. Phil Pavlov, calls for a safe and permanent location to store nuclear waste and to require that a proposed facility in Ontario and any nuclear waste repository requested to be built in the Great Lakes basin first be approved by the International Joint Commission. The Canadian company Ontario Power Generation plans to permanently bury radioactive waste in Kincardine, Ontario, less than a mile from the shores of Lake Huron. Pavlov has been a leading opponent of the company’s plans. In 1982, Congress passed the Nuclear Waste Policy Act requiring the federal government to follow a strict timeline for building a permanent repository for high-level radioactive waste from the nation’s nuclear power plants. According to the act, the repository should have started accepting waste by 1998. SCRs 6-8 have been introduced and referred to the Senate Energy and Technology Committee for consideration. Pavlov: www.SenatorPhilPavlov.com. Click on “Audio” in the Media Center. Proos: www.SenatorJohnProos.com. Click on “Audio” in the Media Center. Zorn: www.SenatorDaleZorn.com. Click on “Audio” in the Media Center. LANSING—Sen. Dale Zorn on Thursday voted to support the Natural Resources Trust Fund (NRTF) plan, which features funding to help the city of Monroe purchase land adjacent to the River Raisin National Battlefield. The NRTF is supported by interest earned on funds generated from the development of state-owned mineral rights. The fund’s dollars are constitutionally restricted to recreation improvements and land acquisitions. House Bill 4078 authorizes the NRTF to spend $4,986,200 toward a $7 million project for Monroe to acquire properties adjacent to the River Raisin battlefield that would be used for accessible recreation, the conservation of natural resources and the improvement of urban areas. HB 4078 now heads to the governor to be signed into law. LANSING—Sen. 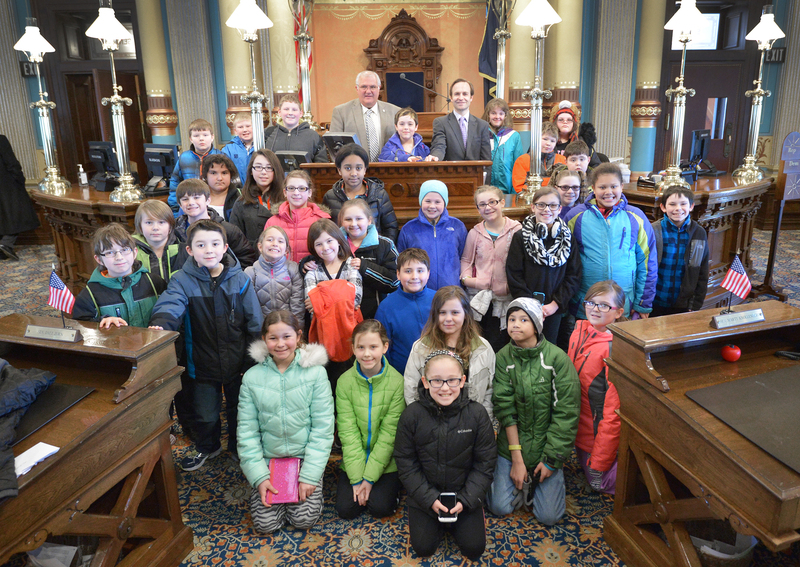 Dale Zorn, R-Ida, welcomed fourth-grade students from Custer Elementary Campus in Monroe to the Michigan Senate on Thursday. The students visited with Zorn and met Lt. Gov. Brian Calley during their day long tour, which included a tour of the Capitol and a stop at the Michigan Historical Museum. A print-quality photograph of Zorn is available by clicking on the image or by visiting the senator’s website at: www.senatordalezorn.com. Click on “Photowire” under the Media Center tab. LANSING—The Michigan Senate on Thursday approved legislation sponsored by Sen. Dale Zorn that would allow a school district to establish a district library. The law allowing local governments, including school districts, to form new district libraries currently prohibits districts from doing so after Jan. 1, 2015. Zorn’s measure, Senate Bill 108, would remove that provision. The issue is a particular concern for the city of Milan, a portion of which is in Zorn’s Senate district. The city straddles the line between Washtenaw and Monroe counties. 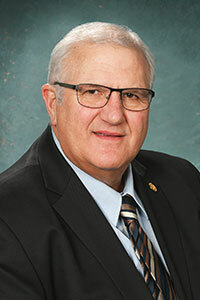 Milan Mayor Michael Armitage voiced his support for Zorn’s bill. SR 108 now heads to the Michigan House of Representatives, where Monroe County state Rep. Jason Sheppard, R-Temperance, has also expressed his support of seeing Zorn’s bill become law. LANSING—Lenawee County will use more than $200,000 in Category F grants from the Michigan Department of Transportation (MDOT) through the Transportation Economic Development Fund (TEDF) to upgrade a key road, Sen. Dale W. Zorn and Rep. Nancy Jenkins announced on Thursday. Lenawee County will see the city of Tecumseh resurface 0.8 miles of North Evans Street in Tecumseh from M-50 to the bridge north of Water Street. The project also includes curb repairs and upgrading ramps to Americans with Disabilities Act (ADA) standards along an all-season north-south route that serves as the primary connection between Tecumseh and the village of Clinton. The $296,528 project will receive $222,396 in state Category F funding and $74,132 in match from the city. Rep. Nancy Jenkins is pleased to see this project come to fruition, and is hopeful that funding for much needed road projects in Lenawee County can continue. The Category F grants are used to expand or preserve all-season roads on commercial routes in urban areas of rural counties. To get the greatest impact from the grants, MDOT considers a number of factors, such as the amount of commercial traffic on local roads, connections to other state trunk lines and other all-season roads in the area, as well as the project’s ability to improve safety and intermodal connectivity. More information about the program is available online at www.michigan.gov/tedf. LANSING—Sen. Dale Zorn announced Tuesday that he will hold a local coffee hour in Tecumseh this month. The coffee hour is open to residents to express their opinions or concerns about state government or to request assistance with a state issue. The Tecumseh coffee hour will be held on Friday, March 13 from 9 to 10:30 a.m. at The Daily Grind, 139 E. Chicago Blvd., Tecumseh.